MEGHAN Markle was the picture of delight as she spotted a familiar face in the thousands that turned out for her special day. 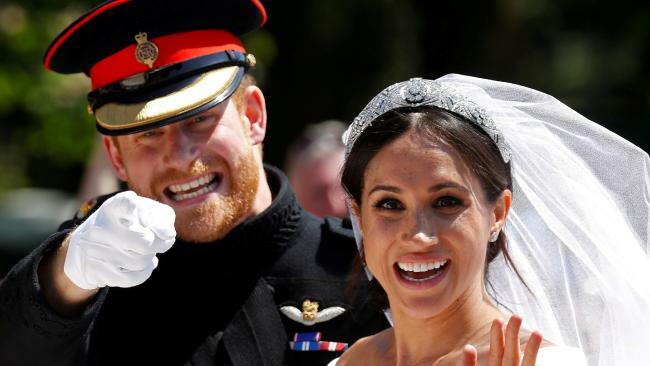 The Sun reports, the newlywed was visibly shocked and excited to spot her old drama teacher Gigi Perreau amongst the throngs of well-wishers lining the streets of Windsor. Meghan gasped and said "Oh my god!" as she locked eyes with her mentor - a film star in her own right. The heartwarming clip was shared on social media after someone standing next to the 77-year-old filmed the procession. Perreau, a star during the 1940s, caught Meghan's eye as she went past, and caught her former student's pleasant reaction. In the clip, the fleeting sighting and accompanying squeak from Meghan causes Prince Harry to turn around for a moment to see what happened. As the camera pans to Perreau, her delight can hardly be contained as she animatedly reacts to her special moment with the new Duchess. The former actress trained Meghan in the craft long before the new Royal landed her coveted role in Suits. American-born Perreau was a child actress who first appeared in Madam Curie aged just two. She went on to find success in The Donna Reid Show and The Betty Hutton Show as an adult, with her work garnering her a star on the Hollywood Walk of Fame. The actress-turned-coach was in London as a contributor for ITV's wedding coverage. Perreau was also interviewed about Meghan for the book: American Princess: The Love Story of Meghan Markle and Prince Harry by Leslie Carroll. In the book, Perreau said she always knew Meghan would be "something special", describing her as a "lovely girl and very hardworking." Meghan finally tied the knot with her Prince at St George's Chapel yesterday. 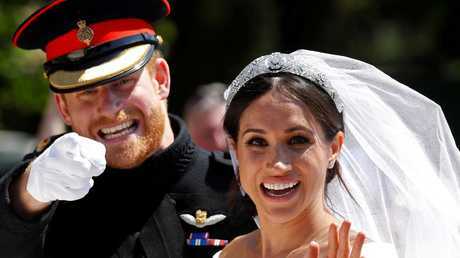 The couple shared a touching kiss on the steps of the chapel before going on a carriage procession through the streets of Windsor. This article first appeared in The Sun and is republished here with permission.